SUPER DURABLE: New Thermal Molded Technology eliminates waste in the construction process and creates an epoxy board both lightweight and ultra-durable, yet stylish in design. Born and Bred on water in San Diego, California Since 2004, we have been committed to bringing you the best quality products designed and tested by people who surf and paddle every day. If you have any issues or questions regarding returns or shipping please contact us so we can help resolve! *RETURNS GUARANTEE – Ride it and Love it for 30 days or Return it. Our no hassle 30-day guarantee returns are subject to a 20% restock fee to cover the return shipping cost. *SHIPPING – For delivery to homes in remote location or with small dirt roads or steep driveways, you may be required to pick up at the nearest location designated by our shipping carrier. *RE-ROUTE FEE – Once your item has been shipped if you request it to be re-routed to a new address, additional shipping charges may apply. Support all riders up to 275 Pounds. 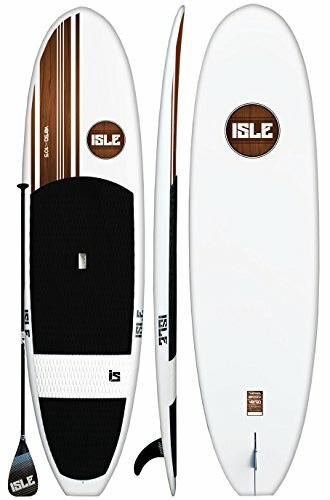 Great All Around Standup Paddle Board Shape for beginner and intermediate riders, sup yoga, surfing and sup fishing. Plenty of glide in the flatwater but versatile enough to ride small waves. This model offers a generous width and thickness in a classic longboard shape; it’s a one-board solution for paddlers wanting stability and versatility in both flat water and small-to-medium surf. This board is both durable and lightweight, so it’s very easy to transport and maneuver. 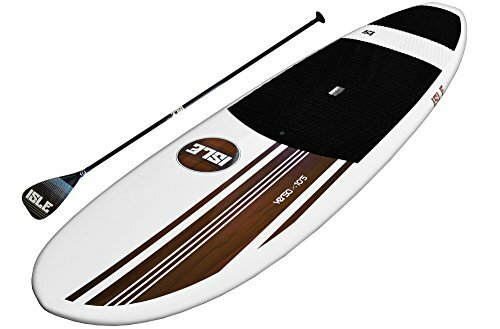 BEST ALL AROUND SUP: The All Around shape is perfect for paddle board yoga, surfing , fishing, carrying kids and beginner to intermediate skill levels. Fun for All on the Water!